But due to the progression of high-density data networks, managing cabling within data racks and optical distribution frames (ODFs) has become more challenging than ever before. The increased cable congestion, as well as the close proximity of optical ports, can lead to difficulties when connecting and disconnecting services. In order to meet the challenges, LC patch cords have evolved to provide greater accessibility and outstanding performance. 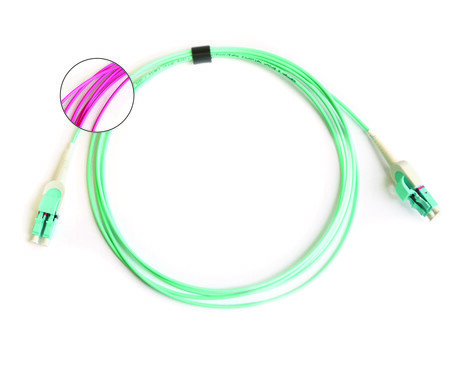 Warren & Brown LC-LC duplex uniboot optical fibre patch cords have been specially designed for high-density applications to provide greater accessibility within congested patch areas. These cords feature a slim cable design of Ø2 mm OD, halving the traditional duplex (figure 8) cable diameter. 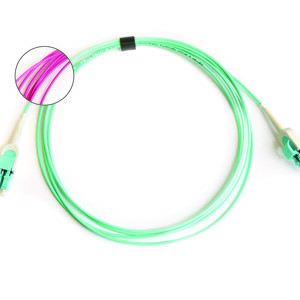 Benefits and features include LC-LC duplex uniboot design; LSZH outer sheath; Ø2 mm round OD optical fibre cord; available in Multimode OM4 aqua and violet; easy connection and disconnection; low insertion loss; and complies with ANSI, Bellcore, TIA/EIA and IEC standards. I am interested in Warren & Brown LC-LC Duplex Uniboot Optical Fibre Patch Cords .